Some say you write what you know; I say you read what you know. I know that I am Southern. We eat pecan pie, cheese grits, cornbread muffins, thick bacon, spicy gumbo, and fried anything. We praise college football players and bleed SEC. We know the clear blue waters of the Gulf coast are infinitely more breathtaking than the rocky Atlantic. Our most prized cities are not the ones with the tallest sky-scrapers or most fashionable designer shops, but the cobblestone streets and small-town atmospheres of Savannah, Charleston and New Orleans. And we root for the Braves because we were raised in the midst of their seasons of glory. In the words of TBS (another Southern classic), “I am the South.” So, I read southern books. It’s what I know. It connects me to my culture (and being Southern IS a culture). I love that my daily life intertwines with the characters in my books. My books don’t take me to a new city or town, they make my city and my region that much more enjoyable and interesting. I have yet to meet someone who didn’t find something that they loved about this book. And plus, there will be other suggestions later; good things come to those who wait. Whether the historical-fiction spin, the charming portrait of Atlanta, the lovable main characters, or the heartwarming yet suspenseful story, everyone loves this title. Follow 16 year old Mary Swan Middleton as she comes of age in racially segregated Atlanta. With her mother deceased and her father searching for a new wife, Mary Swan turns to her maid, Ella Mae for love and support. While searching for answers regarding her mother’s questionable past, Mary Swan learns the value of helping those less fortunate than her Buckhead socialite neighbors and manages to find herself in the midst of a love triangle. 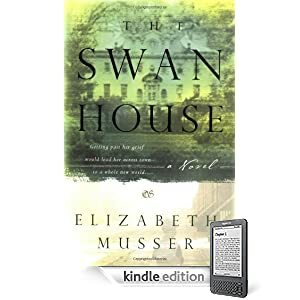 With the help of the loyal friends around her, Mary Swan strives to uncover a local mystery, but learns more about her mother’s past than she bargained for. Musser paints both an idealistic and realistic picture of 1960s Atlanta, stopping at such landmarks as the High Museum of Art, the Varsity, and the Piedmont Driving Club. A must read for any Georgia peach.